This workbook provides exercises to help teach and build English vocabulary. It has been written both for students who are studying towards professional exams and for those who want to improve their related communication skills. The material covers general and topic-specific vocabulary, as well as grammar and use of English, comprehension, pronunciation, and spelling. This book has been written for anyone working, or planning to work, in human resources and personnel management, and who wants to develop their vocabulary for this line of work. The various exercises throughout the book focus on the key vocabulary that you would expect to understand and use on a day-to-day basis. The book is also useful for anyone working in other business-related areas (secretarial, administrative, accountancy, sales, business law, business management, etc) who wants to broaden their knowledge of business vocabulary. How should you use the book? When you use this book, you should not go through the exercises mechanically. It is better to choose areas that you are unfamiliar with, or areas that you feel are of specific interest or importance to yourself. The exercises are accompanied by a full answer key at the back of the book. This key also gives you lots of other information that might be useful to you, as well as providing other words (synonyms, opposites, alternative words, etc) that are not covered in the exercises themselves. It is important to record new words and expressions that you learn. Try to develop your own personal vocabulary ‘bank’ in a notebook or file. Review the words and expressions on a regular basis so that they become an active part of your vocabulary. You will find it very helpful to use a dictionary when you do the exercises in this book. A good dictionary will give a clear definition of words and expressions, show you how they are pronounced, and give sample sentences to show how they are used in context. 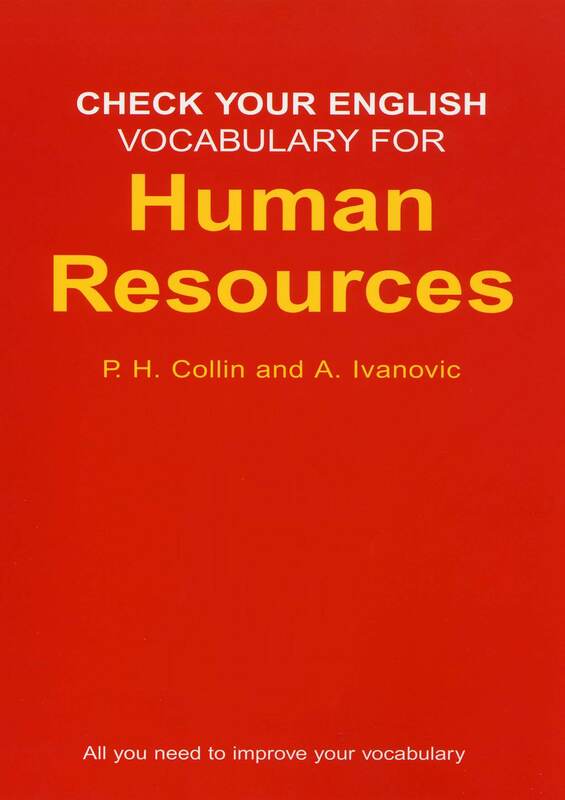 Many of the words, expressions and examples in this book have been taken or adapted from the Bloomsbury Dictionary of Human Resources and Personnel Management (ISBN 0 74756623 2). You will also find the Bloomsbury Easier English Dictionary for Students (ISBN 0 7475 6624 0) a useful reference source. Rawdon Wyatt is the author of numerous other vocabulary preparation books, including ones for the Test of English as a Foreign Language (TOEFL), the Test of English for International Communication (TOEIC) and the First Certificate in English (FCE) exams.